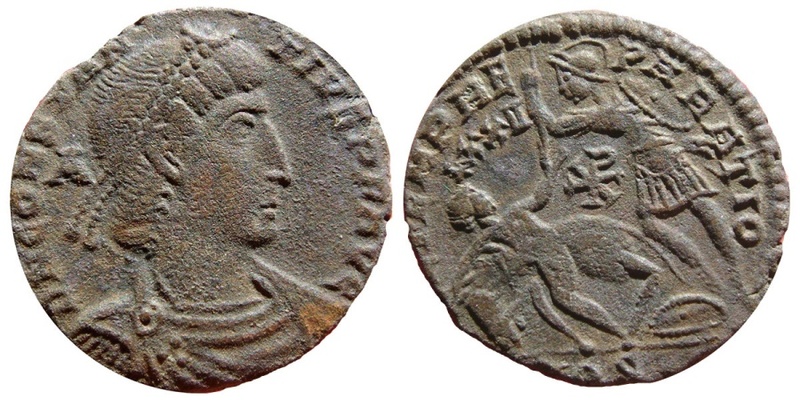 Constantius II AE20. Aquileia LXXII Chi-rho. AQS. FEL TEMP REPARATIO. Very very rare!! Constantine and family Era A.D. 313 - 364. Roman Empire - Four roman bronze coins lot of Constans (3) and Constantius II, from Arles and Rome mint.